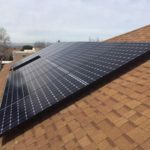 With prices falling rapidly in recent years, installing residential solar panels system can dramatically trim energy bills. A decade ago, residential photovoltaic (PV) systems costed more than $50,000. However, mass production using new technology has sent prices plummeting more than 60% in the past several years. Today, the average upfront cost of a six-kilowatt solar panel system — one of the common sizes for residential homes — runs between $16,00 and $21,000. Further research finds that homes with solar PV system have sold for a premium, expressed in dollars per watt of installed solar PV system. Homes equipped with solar power systems on average sell for 3.74% more compared to non-solar properties. Solar energy is a guaranteed investment that pays for itself. Any upfront costs are paid back from the energy cost reduction (or elimination), and appreciation of property value. Solar customers can expect to see at least 2-3 times return of their initial investment over the life of the solar system. 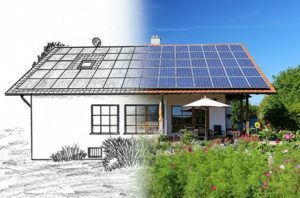 With all these known benefits, what is still preventing some of homeowners from choosing solar energy? 1. Solar Energy Systems are too expensive. As mentioned above solar system Installations are more affordable than they have ever been in 40 years. Photovoltaic modules cost per watt, installed, started at $32 a watt, now at an all time low of under $3. 2. Typical homeowner will not live in their home long enough to get their solar investment returns. As mentioned above a solar system actually increases the value of the home. For every $1,000 that has been saved in annual electric costs, your home’s value rises $15,000.00, in addition to the benefit of lower utility cost. 3. Solar panels require constant maintenance. 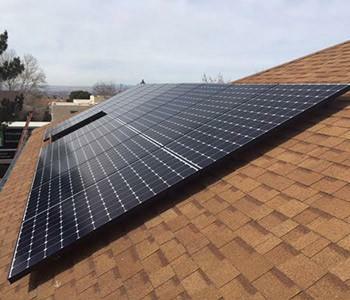 Typically, the solar panels rarely require any maintenance or cleaning. The rest of the system components, doesn’t require more than any other electrical equipment. 4. Solar panels do not work in cold, cloudy places/states. Germany, who ranks low in sunny days, is the solar energy capital of the world. In fact, when the solar panels are cold, they perform better and produce more energy. 5. The solar panels cannot withstand harsh climates (snow, hail, winds, sleet, disasters). Today’s solar panels are built to code and it can withstand most severe climatic changes in various applications. Also. the color of solar panels is dark which aides in melting snow. 6. Solar systems are unreliable and inconsistent. On the contrary, solar electric systems can be more reliable than utility power companies. Typical solar modules warranty lasts 25 years or more. They have no moving parts and off-grid systems are not subject to power outages, as energy storage provides continuous operation. In fact, solar technologies are used to power many vital systems: aircraft warning lights, railroad crossing signals, navigational buoys, etc. 7. We cannot use solar energy because I don’t have enough sunlight and no southern roof exposure. Cloudy areas could still generate energy, but may require more solar panels like BC. East/West roof exposure is also effective based on applications, as well as the use of ground mounted systems. For many years, these myths have been preventing people from taking advantage of the solar energy. Now is the best time to benefit from affordable solar PV systems to reduce your electricity bill and increase your property values. Please contact us for a free proposal at info@newdawn-es.com or 416-855-9377. Solar panels are a great source of energy and they help to reduce energy costs. Solar panels also reduce the environmental impact of your home and provide you with a host of benefits that include supporting local business, making a contribution to energy independence. Purchasing a solar energy solution from one of the top solar energy companies will ensure you with the best solar panels system. During daytime, these solar panels will produce much more energy than you need for consumption. Rest of the energy can be stored and used at a later time and can become a good source of income. The prices of electricity keep fluctuating. Often, it is on the raising end. However, if you choose to use solar panels, you can avoid these fluctuating prices. Thus, it is best to switch to the panels. The increasing use of solar power has made non-arable useful. As many non-arable lands around and far away from big cities have not been utilized for productive purposes, they can now be used for implementing solar power systems. With more dependence on solar power, we become less likely to come across blackouts and brownouts. With better functioning power plants, there is greater security against human-caused disasters. Solar energy is the source of clean and pure energy, which can bring a lot of benefits when used appropriately. There are a lot of good things to think about and implement when you bring a natural resource to use. Similar is the case with solar energy. If you want to experience the same benefits you can approach us for suitable solutions. We are one of the top solar energy companies providing solutions that are second to none. We provide energy solutions across Toronto, Markham, Mississauga, Burlington, Oakville, Brampton, Vaughan, Ajax, Pickering, Whitby, Oshawa, Caledon, Stouffville, Richmond Hill, Newmarket, Aurora, Milton, Georgetown, and the Greater Toronto Area (GTA).